Lee & Low Books, 9781600609695, 32pp. Born into slavery in Chattanooga, Tennessee, William "Bill" Lewis learned the blacksmith trade as soon as he was old enough to grip a hammer. He proved to be an exceptional blacksmith and earned so much money fixing old tools and creating new ones that he was allowed to keep a little money for himself. With just a few coins in his pocket, Bill set a daring plan in motion: he was determined to free his family. 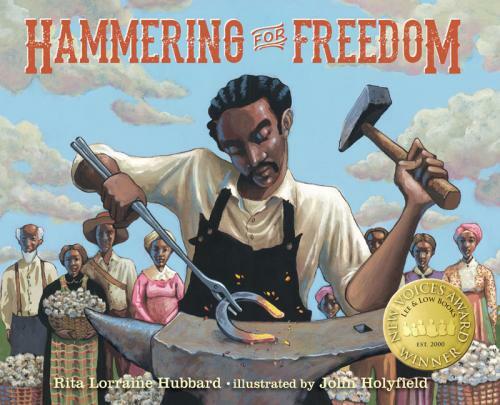 Winner of Lee & Low's New Voices Award, Hammering for Freedom tells the true story of one man's skill, hard work, and resolve to keep his family together.